How to Identify Fake Websites? HomescamHow to Identify Fake Websites? Scam websites, when you start online earning you have to understand there are many scams websites that make fraud with you and your money. You can easily avoid those scams. This blog gives you some options for how to identify fake websites options. On internet lost some options are available If you search for money making website you got thousands of result. And you got this doubt. ”it's this mess? This method legit? Is this company legit? Is this website something that I can earn money from?" and in most cases YES but also other cases absolutely NO. That there are a lot of people out there that just want to get rich because people are stupid. I guess because people when they find something like make money online opportunity, usually, they don't think. They don't think they just go into it. Like you've seen from some of the comments and testimonials that we saw that your mind was not clear. And you can’t control but stay and think. There are many people and companies that want to steal your money online. Especially when it comes to making money online opportunities, so it's very important to be skeptical about anything you see online regarding making money online or make money online opportunity. I can't go through all of them and tell you this one is a scam or this one is its good. One instead I'm teaching you how to identify fake websites exactly what you can do to see if it's a legit product or to see if it's an absolutely 100% scam. If it is legit so like regular we see new jobs every day, get access to hand screen flexible schedule jobs every day. The jobs are guaranteed to help you generate extra income and come with step-by-step directions. Is it really guaranteed? Jobs, so you'll get access to hand-picked high-quality jobs every day exclusive Facebook group risk-free guarantee like you have a day money-back guarantee. There are hundreds of websites that claim to help you generate income online. however, there is so much information online that you can easily get overwhelmed and confused refund policy 60 days of your purse purchase what types of jobs are available the jobs from day today. I don't regularly see that many online websites that actually want you to pay to get side income but that's alright they also have a risk guarantee. That is very important to choose your website, the following point helps you to identify about website legit. How to identify fake websites so verify website authenticity and do before you start your earning. Most websites are fake just create to make scams. Before start work with them, you must check their social media presence. Online fraudsters just follow a simple trick is quickest create scam websites and make money. Most websites have a social media page, audience comets their thought and other reviews. Many sites create their fake social impact thru paid comments that look more legit than real. If you get that type then use your sense and use other website feature that indicates you secure. Well, l this is something I go through whenever I find a new opportunity. I go online and I search side income jobs review. I also go like this jobs.com review and you'll find a lot of reviews. And I always like going to opportunity checker. That let you review their services. So reviews and if we go in here we can check out the reviews. That they've actually pulled together right here and just by reading these reviews you can get a very good understanding about the website. If there is no any negative comments that mean you reach almost. just going to the Google and search the scam website URL and then review at the end and you'll see if it's a good site or not search even more on Google about if it's good or not and you'll find. 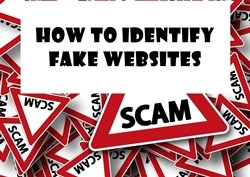 If this is good sites for you, then you can actually learn how to identify fake websites? It’s a good way to know if it's legit or scams, we can also go back and go into a forum. That is one of the best options to know the legit website. When some website asks you to submit any fees or resister amount and any type of money that is an untrustable point. When some want to complete their work and they ask for money that is one of fake reason. Most of the website asks for money and after submitting fees they never give you any work or their attention. When you go to cancel your membership because its waste your money and time you going to account setting there is no page with cancel account. If you send mail related to canceling account they never respond your mail too, and you lost you all money. Do not submit your money to this site because they charge a fee for registration. Find for the category of jobs you need there are many sites which register you for free of cost to complete such jobs from the look. There is one reason scammers don't want to know about them and no one tries to contact them. So you better to check their contact and about page to understand scams. The reputed site has about us and contacts us page or any type of method to connect with the owner. So verify website authenticity with about us, page helps you to know about that website mean how old this website is and how many people use their online work. One of most fraud with that is scam websites term and condition, some website never asks you for any join fees but there term an condition is very hard to know. They just complete their work from you and because of some accuracy they reject your payment. Most time they required compline accuracy from your work that condition type is created fraud. So when you sing up or start work with any type of website just read and understand there term and condition. You can verify website authenticity with SSL/TLS certification. If there you get green padlock near website link. That means website owner have SSL/TLS certificate. For that owner want to verify their ownership. The most reputed website have their own SSL/TLS certification. The bad spelling and grammar mistake means low mean this is fake, not with but when you got more spelling and grammar mistake that time carefully. In some countries, English is not the first language their maybe that mistake. Spelling and grammars mistake is not a really good way to verify website authenticity, but there is a chance to fake. Reddit is usually like kind of like a forum. So it's really nice to see, what people write in there? Maybe not it. You cannot really search upside income jobs here because you'll find a lot of articles about how to find site income and jobs. So I don't think we can really find a Reddit post about this specific one, but these are my methods. I feel like this is kind of a simple trick to know how to identify fake websites, and I think you understand. But just be aware for all online earning. There is a fake website also which can scam you. That is all way which I follow for verify website authenticity.